This music-filled class celebrates the unique joys of your growing child. Each week your child will love singing, dancing, and playing instruments with you and her new friends and you’ll love helping her practice a wide variety of abilities such as gross and fine motor skills, turn-taking, social skills, and active listening. In class, we’ll also share tips and ideas for using music throughout the week. Plus, the fun (and learning!) continues with the Kindermusik@Home digital home materials, including music from class, musical activities, and each month’s story. 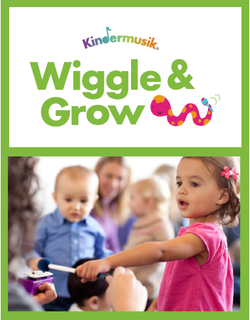 What you’ll experience in Kindermusik Toddler Music ClassesSongs and rhymes. Kid-friendly, age-appropriate songs and chants help develop your toddler’s vocabulary and encourage him to find his own voice. Instrument exploration and play. With you by his side, you and your toddler will explore a variety of instruments, learning about timbre, steady beat, and all the different ways to shake, tap, and jingle along. Active movement. Experts tell us that movement is key to learning, but movement is also key to keeping an active toddler engaged and focused. Every toddler music class includes creative movement activities designed to help your child develop a strong sense of rhythm, an increased vocabulary, and a joyful outlet for self-expression. New units each month. Every new unit is an all-new theme filled with delightfully engaging, developmentally appropriate activities for 2 year olds and 3 year olds that inspire a lifelong love of music and lay a strong early foundation for learning. Kindermusik@Home. Our all-new, easy to use, online learning platform extends the magic and learning of a Kindermusik class into your own home throughout the week. Kindermusik@Home delivers your favorite Kindermusik songs and activities, instrumental music, books, and lyrics—as well as recipes, learning games, crafts, and more in a green-friendly digital format. Sign up for a free preview class.